Join us on Wednesday night for a free pancake dinner at 5:30 pm. There will be a Lenten Craft Fair for children at the same time in Schneeberger Hall. 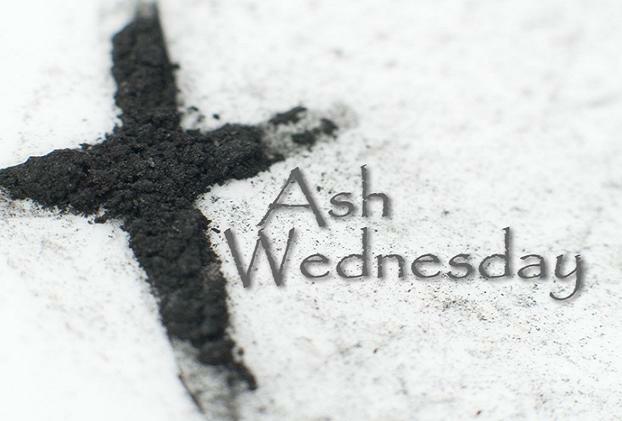 Be sure to stay for our 7 pm Ash Wednesday Service, in the Underground. Pastor Ron Bell officiating, with assistance from our 2019 Confirmation Class. Our music provided by the Praise Team. Daylight Savings Time Begins March 10th! Set your clocks AHEAD 1 hour the evening of Saturday, March 9th to make sure you arrive at church on time. Hey Kid’s Court & Kid’s Kingdom kids! Next week, on March 10th, come to church in your pajamas for a pj & poptart party! We are going to make “Spring Forward” as easy and fun as possible! LUMY Chili Auction has been rescheduled! The annual LUMY Chili Auction has been rescheduled for April 7th due to inclement weather. Please mark your calendar with this date change! Plan to join us for food, fellowship, and fun! Do you know what to do in a cardiac emergency? Our Health Ministries Team is offering a FREE Hands Only CPR and AED use class on Saturday, March 23rd, 10:00am in Wesley. This class is NOT a certification class. The course will feature a slideshow presentation and practice time with mannequins. Instructions will include CPR for infants, children, and adults. Class is approximately one hour. Class size is limited to the first 25 who sign-up. Please contact the office at 913-888-5600 to register. St and Nebraska Ave in Kansas City, Kansas. We leave our church around 9:20am. There will be sign-up sheets and casserole pans, etc. located on tables as you enter the sanctuary during the last weeks of March. Contact Tom Bean at 913-888-2446 with any questions. Specifically of people at church functions, anywhere from 1940-2000? If so our Records and History team would love to get a copy. Send scanned pictures to office@lenexaumc.org with descriptions of who/what they are. If you don’t have a scanner just bring the pictures into the office and we will scan for you. With your help we bring much needed essentials to the Johnson County Food Pantry every week. Currently they are in need of canned tomatoes, canned chili, fruit cocktail, mandarin oranges, canned beans (pinto, kidney), canned pork and beans, rice, sugar, salad dressings, catsup, mustard, lotions, and diapers size 3, 4, 5, & 6. Please bring donations to the church and place in the gray bins outside of office.